I’m a huge advocate to double cleansing your face at the end of the day. If you do it right, you remove all makeup and dirt without doing anything to irritate your skin. 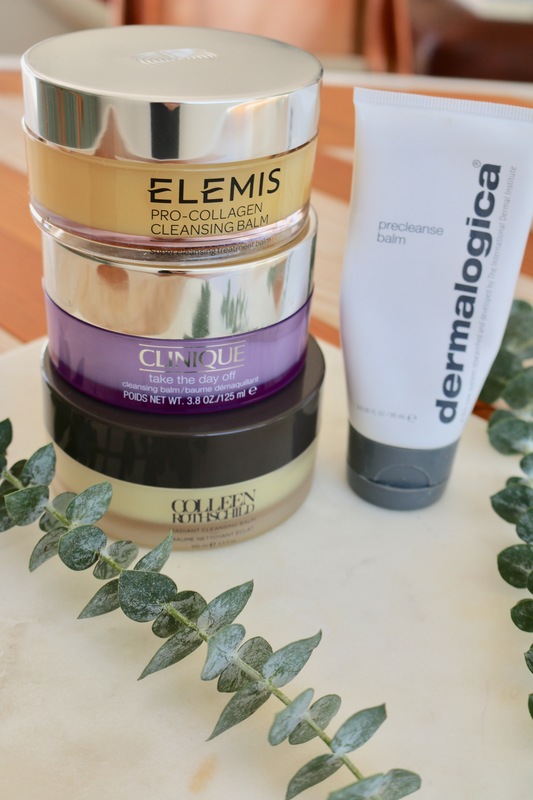 The key product you need to do this is a cleansing balm. Over the last year I’ve fallen in love with cleansing balms and wonder how I went so long without using them. They completely melt the day off your face and get your skin ready for a regular cleanser. Because of my job, I’m sent a lot of products to try…. truthfully too many for just me and I always give a bunch away. 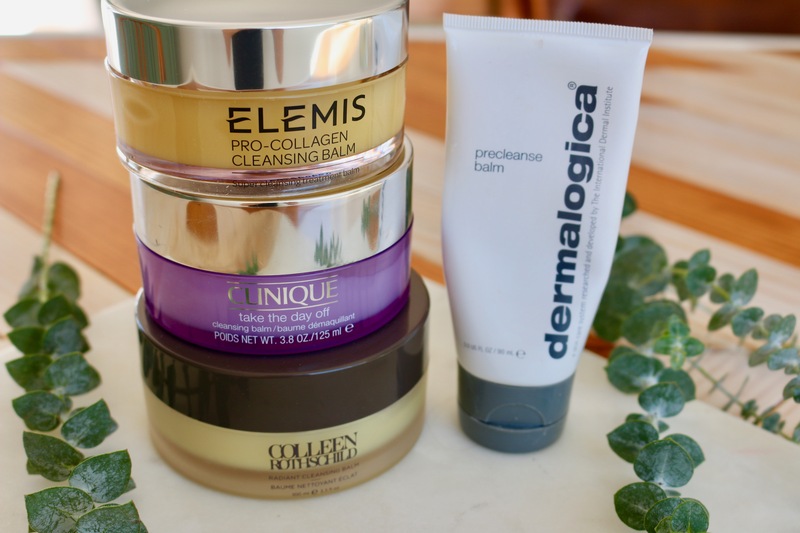 Out of the ones I try, I like to share what I love and today I’m sharing my 4 favorite cleansing balms. Elemis – This is the balm that started the love affair for me and if I’m being completely honest, it’s my favorite. It feels like butter and I can really tell a difference when I use it. At $64 it’s pretty pricey, but a little bit goes a long way and it lasts a long time. Colleen Rothschild – I first tried this one after hearing so many positive reviews from my blogger friends and it definitely lives up to the hype. This one is pretty similar to the Elemis and I mostly switch between the two. Clinique – This is a great “starter balm” and it’s priced right at about $30. It’s not quite as buttery as Elemis and CR, but it does the job and melts the day away. With this one I find myself having to use a bit more to get everything off. Dermalogica – This one comes in a squeeze tube and for that reason it’s amazing to travel with. You don’t have to worry about it opening up and I believe it’s small enough to pack in your carry on. I like to keep one of these in my shower at home as well as bring it on the go. It’s the most affordable of the bunch at only $15.